Land Rover has launched a rugged smartphone designed for outdoor use that is able to survive underwater and withstand extreme temperatures. 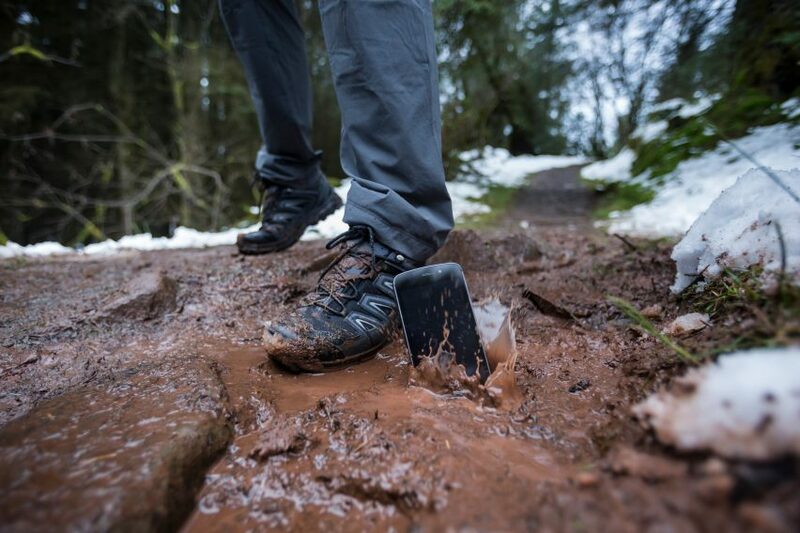 Inspired by the Land Rover Discovery, an off-road 4×4 SUV vehicle, the ultra-tough Explore phone was developed by the car brand in collaboration with Reading-based phone maker Bullitt Group. The brand suggests the phone is designed for “those with an adventurous spirit”, who would need a device that they can rely on while enjoying hiking, biking or off-road adventures. Equipped with its own off-road mapping, compass and SOS light, the phone runs on an Android Nougat operating system and features a five-inch HD touchscreen that can be controlled with gloved hands. It can cope with extreme temperatures from freezing cold to blistering heat, as well as being able to withstand thermal shock, intense humidity and vibration exposure. A factory-fitted screen protector and protective case enable it to survive underwater, including salt water, for up to 1.8 metres. According to Land Rover, the phone’s battery is capable of providing power for two full days of constant use, and if more power is needed – an add-on battery pack can be used. This add-on, named Adventure Pack, also boosts the reliability and accuracy of the GPS signal and improves the mapping capabilities. References to the Land Rover Discovery can be seen in the phone’s design such as the camera, which is based on the car’s headlamp. 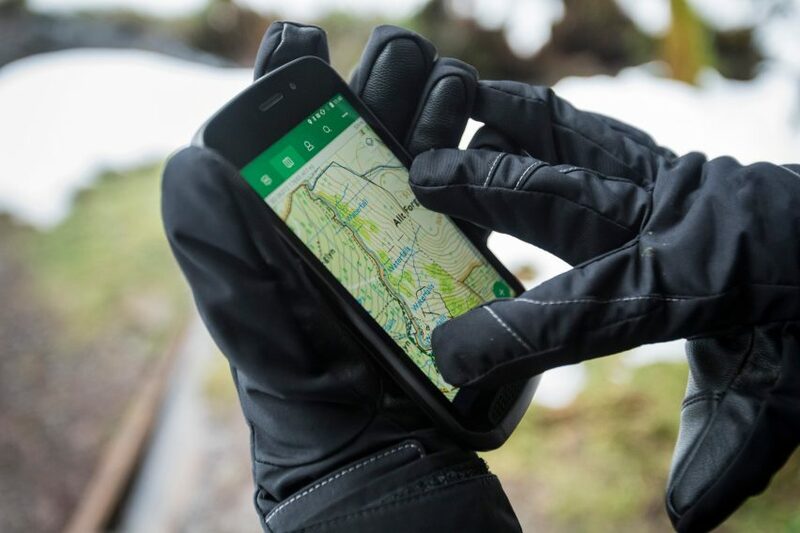 “This is the smartphone we’d all like to own – a perfect combination of design and functionality that embodies the Land Rover DNA and enables customers to be outdoors for longer, with the confidence to go further,” said Joe Sinclair, Jaguar and Land Rover’s director of branded goods. Priced at £599, the device is scheduled to launch in April this year. 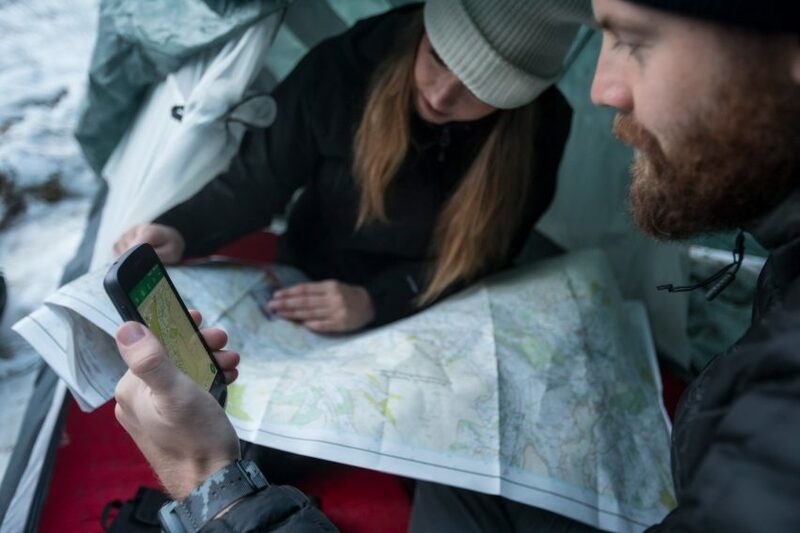 The Explore smartphone follows the 2016 opening of Land Rover’s independent design-led startup hub in east London, which is aimed at fostering creative development. The move continues the trend for car brands moving away from their core missions to explore how their brands could be applied in other fields, which has previously seen Aston Martin begin to offer design consultancy services and Audi attend Milan design week in 2016 to showcase its advances in lighting technology.